We are a coveted organization engaged in manufacturing, trading and exporting a complete range of Water Treatment Plants that are produced after a through research of market and customer's need. These systems are manufactured using quality-approved raw material sourced from reliable suppliers. We manufacture these systems at our technologically advanced infrastructure using modern machineries and advance technology. These systems are tested for quality at our quality testing laboratories ensuring qualitative product at customer's end. These systems are highly reliable and useful, hence are widely demanded worldwide. We offer pressure boosting systems, hydro pressure systems, hydro pressure booster system that consists of an automatic pressure controlled pump and a tank, which contains an air filled poly-ether-urethane (PEU) bladder. The water gets pumped in this tank that compresses it and pressurizes the bladder which in turn maintains a desired pressure within the whole water system. This automatic system requires no manual intervention and is built for low maintenance. As the entire home plumbing is kept under pressure by the system it is vital that good standards have been used in water piping and fixtures. 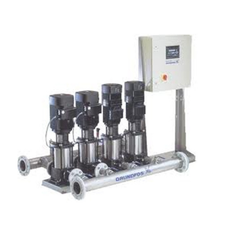 Automatic operation of the system, water under pressure whenever required. Paradise Home Pressure booster system will work in homes with and without the overhead tank. They can replace the overhead tank provided continuous power is available. The composite material (FRP) tank ensures that the vessel never corrodes and no harmful traces of metal (as in steel tanks) pass into your water. The tank is made of Food Drug Administration (FDA) and National Sanitation Federation (NSF) listed materials, thus environmentally safe and will not introduce any undesirable chemicals or elements. 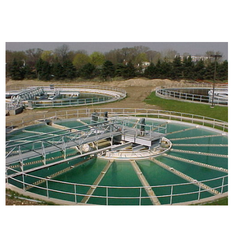 Our organization holds specialization in manufacturing superior quality Sewage Treatment Plants that are used for removing contaminants from sewage. These plants recycles the waste water and make it avail for various application providing pure water safe for drinking and cooking purposes. These plants are fabricated as per the industrial set norms and standards and performance efficiently during their life span. These plants can also be used for treating industrial wastewater as it qualifies as an efficient remover of various chemical and biological contaminants from water thus enabling public consumption.